Curling irons have certainly come a long way. 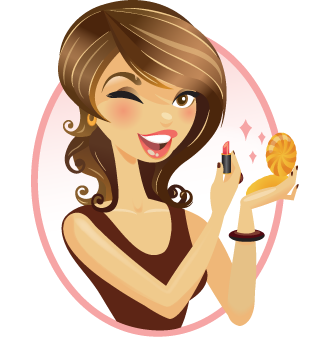 It used to be that the brand and type of curling iron you used depended on your hair type, and if you wanted a curling iron with different heat settings you would have to make an expensive trip to the beauty supply store. 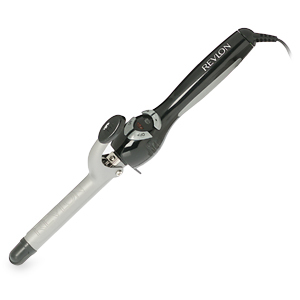 Revlon’s Perfect Heat Ceramic Curling Iron is relatively inexpensive at less than $10 at most stores. 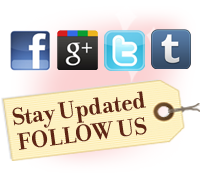 However, it has everything that you would look for in a curling iron. Its ceramic barrel ensures that your hair won’t be singed, and it has 30 heat settings! We loved that we had so much choice for the heat level, it’s so much better than the old school ‘High’ and “Low”. We used it in the morning and still had curls at night without using hair spray. 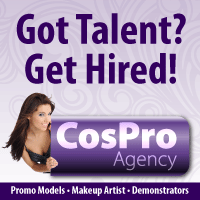 Best of all, the curling iron heats up in 30 seconds – perfect for getting ready for work. We have to admit, we were expecting to be unimpressed with Revlon’s Pedi-Expert Shower Pedicure Kit. Many exfoliating stones (both natural and synthetic) may work to eliminate dead skin, but leave your feet feeling rough. We were pleasantly surprised after using Revlon’s Pedi-Expert Shower Pedicure Kit. After one use, our feet were amazingly smooth. In the kit, you get a soft brush to exfoliate and clean your feet, a contoured stone to remove dead skin, and a cuticle pusher. The unit easily fits in your hand, and you can stack the brush on top of it (saving you valuable shower real estate). Hands down this is our favorite pedicure product we’ve tried to date. Fake eyelashes are always easy to put on, until you try to make the second one look just like the first. 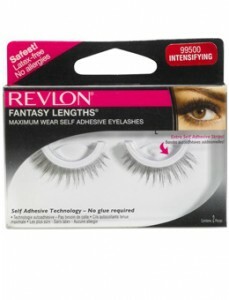 Revlon Fantasy Lengths Maximum Wear Self-Adhesive Eyelashes requires no glue and almost no skill! 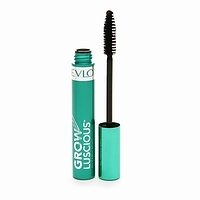 There is a strong adhesive on the eyelashes; all you have to do is position the eyelash and press down. And because there is no glue routine, we were able to apply them in record time. The kit comes with extra self adhesive strips so you get a few wears out it. Now that we know we can put on eyelashes in just a couple of minutes, we won’t restrict wearing them to just special occasions.